Background: He is Deputy Director of the Essex Human Rights Centre. 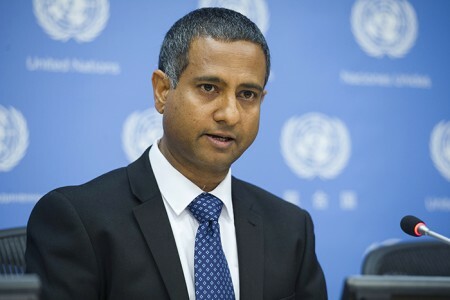 He was the first Special Rapporteur of the Human Rights Council on the situation of human rights in the Islamic Republic of Iran since the termination of the previous Commission on Human Rights mandate in 2002. A career diplomat, he has twice held the office of Minister of Foreign Affairs of Maldives. He led Maldives’ efforts to embrace international human rights standards between 2003 and 2011.